Published on 27 January, 2010 in FOSS. 0 Comments Tags: ogg, ogm, ogv, theora, video, vorbis. I just discovered that the Ogg Media format (OGM) is not a specification supported by Xiph Foundation. That’s right, OGM is not Ogg. OGM is an extension of Ogg which goes outside of the specification by adding support for DirectShow filters. Ogg Vs Ogm file format are the same, the main difference is the first header in each stream. OGM uses several standardised header formats, audio, video and text, in order to make identifying unknown codecs easier in directshow (and subsequently other frameworks). ie with those three headers you can use any audio or video format you choose without have to write custom header parsing routines for each codec in the demuxer. In other words ogmtools provides the standard du jeur for encapsulating various common-in-avi codecs in an Ogg bitstream, like ‘divx’, ‘mp3’ and so on. The Ogg specification supports video (.ogv extension) and use of Ogm is discouraged. Published on 24 September, 2009 in Tech. 1 Comment Tags: 7, dumb, launch, party, video, Windows. My goodness, Microsoft is so hip and cool. They’ve made a video on how to host a Windows 7 Lunch Party. Of course for each of the characters you’ve got representatives of everyone; the nerd (red shirt), the older lady (blue shirt), the younger woman (purple shirt) and the African American (green shirt). They try and be cool by cutting in and out and zooming the camera around, which really just ends up looking stupid. In a lot of ways, you’re just throwing a party with Windows 7 as an honoured guest! Sounds easy, and it is! Finally, it ends up with a deep message to everyone about how Windows 7 is all about you..
My goodness, what a shocker. Published on 13 August, 2009 in FOSS. 1 Comment Tags: audio, cheat, ffmpeg, sheet, video. Came across this useful cheat sheet for ffmpeg, for anyone wanting to easily manipulate audio visual material. Published on 10 July, 2009 in FOSS. 0 Comments Tags: dvd, editor, kde, kdenlive, Linux, video. 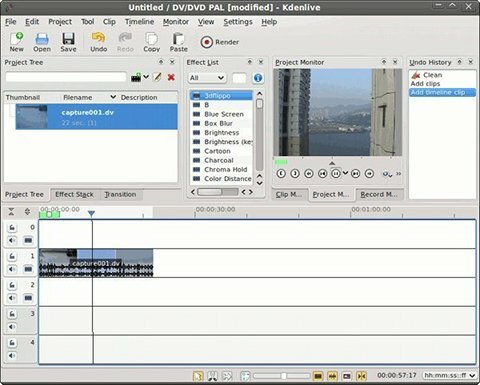 KDE4 is getting really, really good but it’s still missing an awesome video editor. Maybe Kdenlive can fill that gap and become the official video editor for the desktop, it’s really awesome! The Just another Linux geek archives for the video tag.